Looking for New York Fashion Week’s rising young guns? Many will be showing at Made during the Spring 2016 season. The program’s Spring 2016 lineup was announced today. Here, some highlights to look out for. 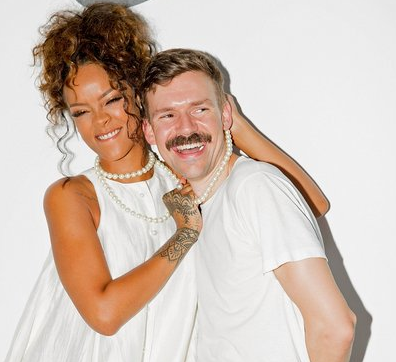 First up is Adam Selman, the man behind Rihanna’s tour costumes and her favorite off-duty looks. (That “Spoiled” top RiRi sported at the NBA All-Star Game? All Selman.) After several seasons of showing off-piste in various venues around the city, the designer is bringing his signature brand of Pop-inspired fun to Made, taking over the 8:00 p.m. slot on September 10. That’s not the only Rihanna-approved designer making the jump to Made. VFiles alum Andrea Jiapei Li will be showing her Spring collection on Friday at The Standard hotel in a space designed in collaboration with artist Nicky Chang. “Made has always been a strong supporter of emerging fashion designers,” says Li, who notes that her formalist collection will be getting a couple of exciting updates for Spring. “In addition to the unconventional use of fabrics and focus on unique silhouettes, we’re doing more playful details and shapes than we’ve explored before,” she offers. Many of the other brands new to Made, including Area, Devon Halfnight LeFlufy, and Gypsy Sport, veer toward the experimental. It doesn’t get more offbeat than “dad fashion” à la the Fat Jew. Among the names on the program’s Saturday night showcase of young talent are Sandy Liang, Babyghost, Collina Strada, and Xiao Li.